We present the very best of Bermuda cruise reviews. The selection is based on helpfulness and entertainment value. A big thank you to all of the cruisers who post reviews. 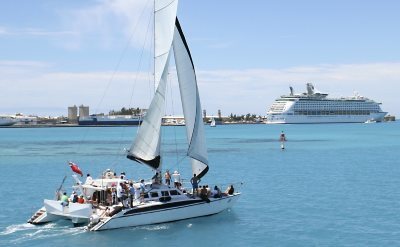 1. Review of a Royal Caribbean cruise to Bermuda. 5-day cruise from Cape Liberty to Bermuda. The huge Anthem of the Seas ship has wild features like a skydiving simulator, bumper cars, surf simulator, the NorthStar ride and more. They recommend you pre-book shows and dinner reservations. Tips for things to do on Bermuda. See our calendar of Royal Caribbean cruises to Bermuda. 2. Review of a cruise to Bermuda on the Norwegian Breakaway. 7-day cruise from New York to Bermuda on a huge ship. This detailed review is broken into two parts: a day-by-day account of what they did and coverage of the ship itself. Comprehensive information by an experienced cruise fan. Go to our complete list of Norwegian cruises to Bermuda. 3. Review of a Celebrity cruise to Bermuda. A 7-day cruise to Bermuda from Cape Liberty. The writer wasn't impressed by the Celebrity Summit ship (maybe that's why Celebrity Cruises recently made major renovations to it). They still enjoyed the trip. 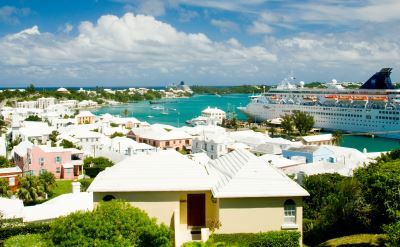 See the Celebrity cruises to Bermuda. 4. Review of a Bermuda cruise from Boston. A 7-day cruise on the Norwegian Dawn. A complete description of the ship with lots of large photos. Tips for checking in. Food in the dining room was very good. See all of the cruises to Bermuda from Boston. 5. Review of a Baltimore to Bermuda cruise. This blogger wrote an amusing and detailed review of a Royal Caribbean cruise that we have to share. Many pictures show the beauty of Bermuda. Here is part 2 of the review. Check out our schedule of Bermuda cruises from Baltimore.